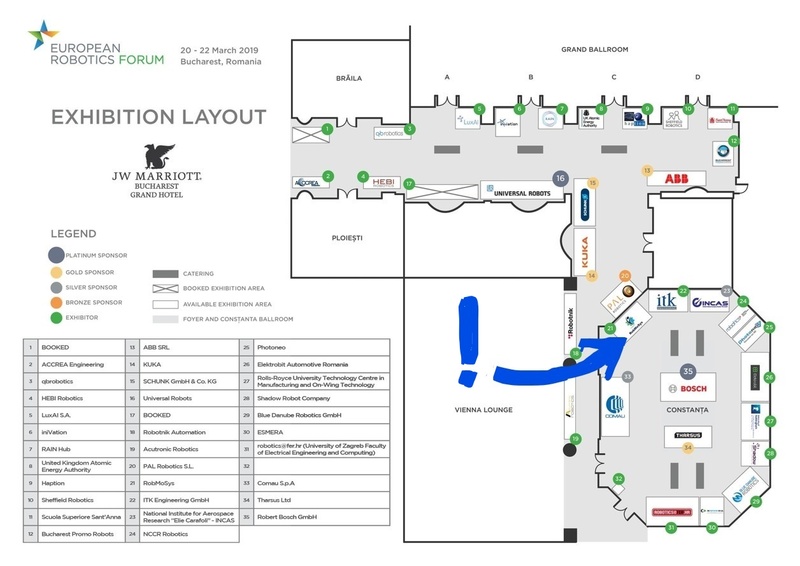 The European Robotics Forum, the most influential meeting of the robotics community in Europe, will be held in Bucharest, Romania, in March 2019. 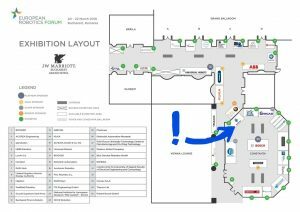 The workshop will combine a presentation session with a World Café to give the community the possibility to answer questions, bring in own ideas and address possible concerns with regards to the ecosystem baseline, challenges of current software ecosystems and sustainability. exchange of best practices with other projects (ESROCOS, ROSIN) also using open source software approaches. – Which challenges do you encounter with your current software ecosystem? – How could a migration path from my existing system to the new approach look like? – Path towards sustainability – what is this the right way to go? From 1st February 2019 to 30th April 2019, RobMoSys will open its second open call with a call budget of € 2.7 million. This call with a focus on fast adoption, ecosystem challenges and measures to strengthen the community will offer great research funding opportunities for parties interested in contributing to the RobMoSys ecosystem. 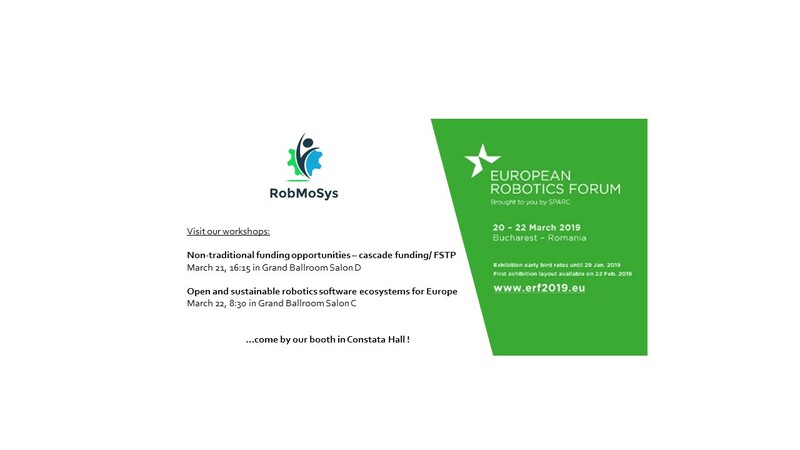 Those funding opportunities will be explained during the Workshop Session on “Non-traditional funding opportunities – cascade funding/FSTP” on Thursday, March 21st, 2019 from 16:15-17:45 in Grand Ballroom Salon D.
Get first-hand information on the RobMoSys project and funding opportunities in Call 2.